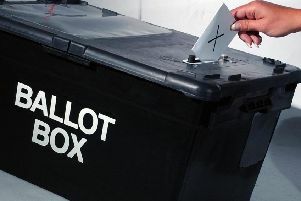 A war of words has erupted between two of the leading candidates in the fight to become Louth and Horncastle’s new MP. UKIP contender Colin Mair has accused his Conservative rivals Victoria Atkins of putting posters and billboards promoting her campaign on County Council-owned land next to roads. Mr Mair, who is a County Councillor, has supplied photographic evidence to back his case, saying it proves the Tories had in effect broken the law. Mr Mair says he has reported the matter to the County Council while it is understood complaints have been made to the police. However, a defiant Ms Atkins has hit back, denying she has done anything wrong. She alleges many of her posters and billboards - put up by volunteers - has been vandalised. She said Tory supporters also had evidence of someone specifically damaging a poster. She accused Mr Mair of “mischief making” and urged him to supply evidence of where the alleged ’illegal’ posters were.